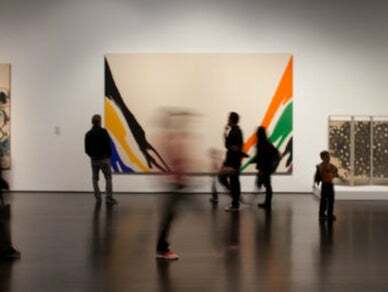 Since its inception in 1965, the Los Angeles County Museum of Art (LACMA) has been devoted to collecting works of art that span both history and geography, in addition to representing Los Angeles's uniquely diverse population. Today LACMA is the largest art museum in the western United States, with a collection that includes over 120,000 objects dating from antiquity to the present, encompassing the geographic world and nearly the entire history of art. Among the museum’s strengths are its holdings of Asian art, Latin American art, ranging from pre-Columbian masterpieces to works by leading modern and contemporary artists; and Islamic art, of which LACMA hosts one of the most significant collections in the world. Situated in Hancock Park on over 20 acres in the heart of Los Angeles, LACMA is located between the ocean and downtown.